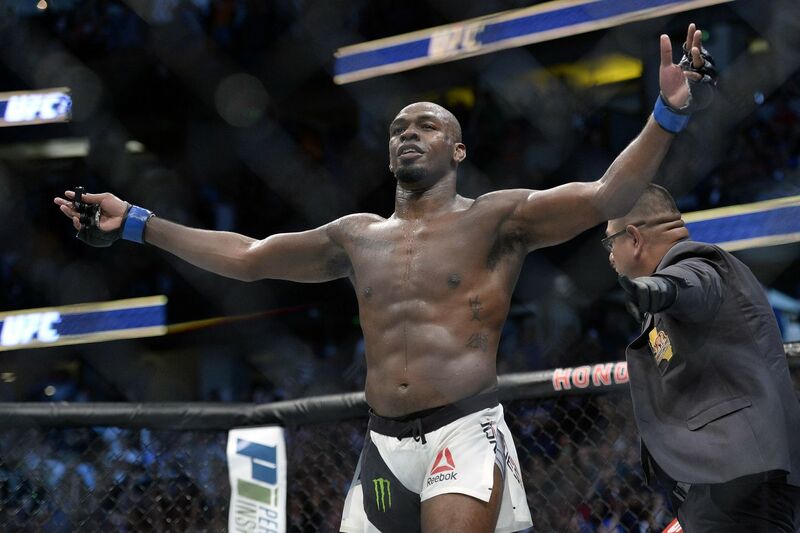 UFC light heavyweight champion Jon Jones is drawing a line in the sand to show middleweight contender Israel Adesanya who the real king of the jungle truly is. Adesanya, who fights Kelvin Gastelum this weekend at UFC 236 for the interim middleweight title, took aim at Jones earlier this week when talking about his promotional ascension. The 29-year-old Nigerian striker is coming off a decisive victory over the legendary Anderson Silva at UFC 234 back in February and believes he’s setting himself up to take out another UFC great sometime in the near future. While Adesanya remains undefeated at 16-0 in his professional career, he didn’t necessarily defeat the best version of Anderson Silva earlier this year. Instead, “Last Stylebender” went five hard rounds with a 44-year-old veteran who has one victory to his name since 2012. It was a win that ultimately led to Adesanya’s title shot opposite Gastelum this weekend, but not some sort of monumental performance that’s going to scare the likes of Jones. Jones and Adesanya have remained cordial up to this point, but it seems like things are heating up as “Last Stylebender” approaches his first ever UFC title shot. Should Adesanya get past Gastelum in impressive fashion and then knock off current UFC middleweight champion Robert Whittaker in a title unification bout later this year, it could give “Last Stylebender” the ammunition he needs to move up to 205 pounds and challenge Jones for his belt. Jones, who is currently scheduled to defend his light heavyweight title against Thiago Santos at UFC 239 this July, is quickly running out of deserving contenders at 205 pounds. Outside of a grudge match with UFC heavyweight champion Daniel Cormier, a potential clash with former UFC middleweight king Luke Rockhold, or a long-expected move up to heavyweight, “Bones” would likely welcome a high-profile clash with Adesanya sometime next year. It’s a matchup that fight fans will pay close attention to moving forward, especially if Adesanya is able to hoist gold this weekend at UFC 236.